A couple of weeks ago I was talking to my friend and fellow blogger Poppy, when I happened to mention what a fabulous moon there was outside. Poppy’s BB piped up in the background with ‘yes, tonight is a super moon‘. Well, that was the start of another Poppy and Chillbrook excellent photography adventure. Two in the morning, out in the wilds of Cornwall and Worcestershire, Poppy and I were exchanging photography and astronomy tips by mobile phone whilst looking at the most amazing night sky. A plan had been hatched that night, via Skype, to photograph the Milky Way and last night the plan came together. Excellent!! It’s extremely difficult to find a truly dark sky in the UK as the villages, towns and cities are now so numerous and spreading, each filling the sky with the ubiquitous and vile, orange sodium light pollution however, I found a dark patch, using a website called Blue Marble, on the south coast of Cornwall looking out to sea that looked promising. I thought this would be a good place because I assumed there wouldn’t be any orange light pollution out at sea. I was wrong. The large tankers and cargo ships plying the English Channel also favour this particular form of lighting apparently so it seems nowhere is sacred and a dozen or so miles from the nearest town, the orange glow is evident. However, despite the light pollution, Poppy and I both managed to get some rather interesting pictures. You can see Poppy’s pictures here. We live in a truly wondrous galaxy. How small and insignificant we are.. I will be paying very close attention to location, foreground interest and Milky Way position on my next outing to shoot the stars. This entry was posted on July 23, 2014 by Chillbrook. 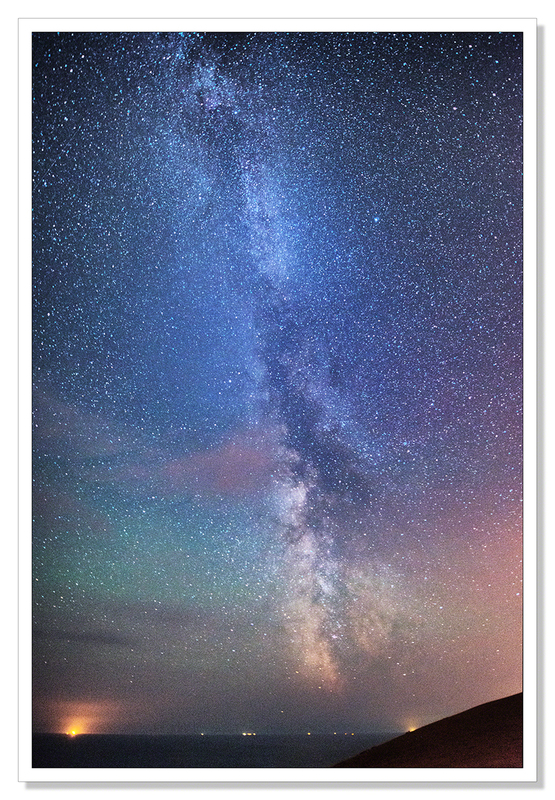 It was filed under Photography, Photography and Travel and was tagged with Adrian Theze, Astrophotography, Cornwall, Cornwall Photographic, Cornwall Photography, Galaxy, Milky Way, Nikon AFS 14-24mm f/2.8 G, Nikon D800e, photographs of Cornwall, Photography, Seascape, Stars. Anytime. Thanks for the terrific photography. Share a few tips when you get some time. I’m loving these! Fantastic. I’ll look forward to your tutorial, Adrian. It’s difficult to find places to photograph without light pollution! Thank you Karen. It’s becoming more difficult all the time especially on our little crowded island. I imagine there are wide open spaces in Canada where you can still really get away from it all. True wilderness. I would love a taste of that. 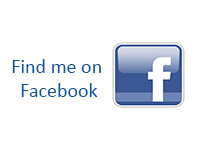 These are so wonderful…do you follow Neal de Grasse Tyson (astrophysicist)? Thank you Carol. No I don’t. I will look him up. These are amazing Adrian. I’ve always want to try this but have to find a place out of the city with no light pollution. I’m looking forward to your tutorial. 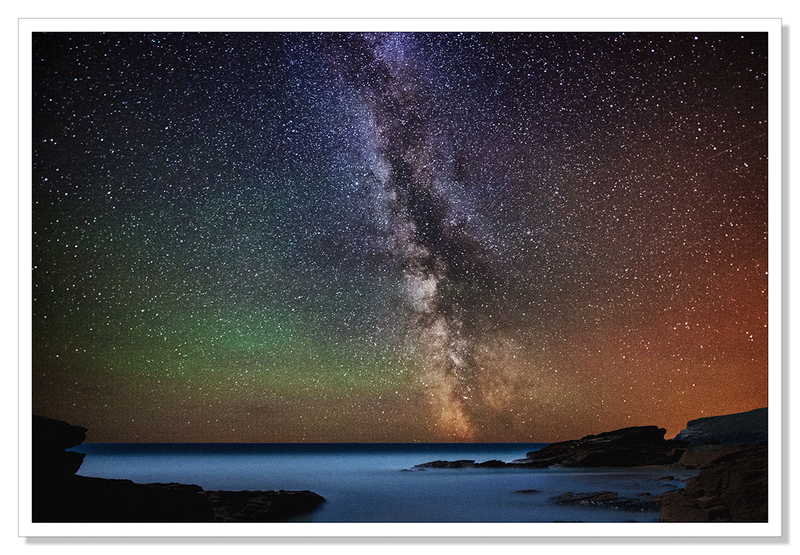 Wow ChillB that Cornish mist well and truly lifted – what a beautiful Milky Way you captured ! Wondrous indeed. Thank you Poppy. I remember the song. It does rather put it all in context doesn’t it? It was a fabulous night and as I was driving home in dense fog through the tortuously narrow windy lanes, I was truly happy. This photography business is marvellous! These are cool….especially love the second one, because the foreground adds great context to the shot. Wow, fantastic, Adrian. These are photos to be proud of! I have never tried this type of photography. 4000 iso? Can you still get a decent print? Thank you so much Rick. An amazing compliment coming from such an accomplished photographer. I really appreciate that and I’m so glad you enjoyed the images. I certainly enjoyed taking them. These are beyond fantastic. Well done! They are wonderful Chillbrook, so glad you were able to find somewhere to take some photos. I tried to get some the other night but the clouds came over. Hoping to try again on Monday night. I love doing the milky way, it is so amazing. Great shots. Thank you very much Leanne. The Milky Way really does present a great subject but sadly, very weather dependent. That’s for sure, as I found out the other night when it was covered over by clouds. These are stunning shots. I read somewhere you need to keep your exposure under 30 seconds to avoid star trails. Is that your experience? Thank you. Yes, I use the 500 rule which basically states that you divide 500 by your focal length to give the maximum exposure time before star trails start to occur. For most intents and purposes this equates to between 25 and 30 seconds. Wow, your milky ways are impressive, Adrian. Wow! These are so spectacular. They remind me of a trip a long time ago to the Badlands in South Dakota where there was not any light pollution. These are amazing, Adrian! Gorgeous! Wishing you clear and dark skies! Wow, these are beautiful, Adrian, really enjoy the orange and blue glows in it. Not really an expert in night photography, but I thought a lower ISO would work good here as well? Or does that give even more noise with the longer shutter speeds? Hi Ron, Thank you. To capture the Milky Way like this you really need to crank up the ISO to allow the sensor to ‘see’ light that isn’t visible to us. This really means anything from 2000 ISO upwards otherwise you simply don’t capture the distant stars. Those very distant stars, the ones closer to the horizon in my images, that is towards the galactic centre, are something like 25,000 light years away. Makes you think doesn’t it? Thank you :) Looking forward to it. But too often, we forget it. Too true! Thank you Marcelo! Reblogged this on Pattu's terrace Garden. It is Trish, you need to get away from city lights. Thanks for the link to the Blue Marble site, I thought I would have to wait until I go to the mountains before being able to take some star shots but it seems there may be a patch closer to home with little light pollution. That’s good to hear Ben. Dark places are increasingly hard to find. I went up onto Bodmin Moor, an apparent dark area up by Dozmary Pool but the area was surrounded by orange glow from Bodmin, Liskeard, Wadebride.. very disappointing. I read somewhere and I don’t remember where that you need to be 11 miles from a town or city to loose the light pollution, not sure how accurate that is but it is quite an interesting Idea. I’ll have to do some measuring..
Great work on these… yet another creative avenue! Thank you very much Thom! Marvellous. We are, indeed, insignificant. 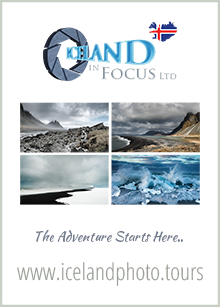 A truly excellent photo adventure…. Thank you PC, much appreciated! GAASP, you leave me speechless, Adrian. This is beyond anything I’ve seen coming from above. Excellent work. Astonishing images – and not too long exposures either. I look forward to reading the tutorial. I’m off to the Alps shortly where light pollution is not a problem but this year I don’t expect to be out climbing through the night, so I will miss the real darkness that I have seen at 1am at about 11,000ft! I love the adventures of Chillbrook and Poppy, a splendid team. And I am astounded by these fantastic images. STUNNING! Stunning! When I see shots like yours, I can’t help but believe that there has to be other life out there … how could something so vast be home to only us? But… back to your photos. Just beautiful! You’ll have to come to Colorado … the views of the night sky when you’re high in the Rocky Mountains is astounding. Thank you John. I absolutely agree with you. To suggest that in a galaxy 100,000 light years across, and in other galaxies just like our own across the universe, there isn’t other life out there seems absolutely ludicrous. The light from some of these stars has taken tens of thousands of years to reach us, who knows what other life, with intelligence possibly greater than ours, could have evolved in that time. Perhaps ready, having developed the ability to travel across these vast distances, to pay us a visit any time. Merci beaucoup stephane. Votre visite et votre commentaire est très apprécié. Oh my goodness. That is a wonderful photo! Thank you very much Bumba, glad you enjoyed it. This is very beautiful work. I like the way it came about, too. And don’t you love that almost-losing-your-balance sense of smallness you get sometimes when you’re out in a dark place, looking up at the night sky? Fabulous images Adrian, as you say, it really drives home how insignificant we are. Sadly I’m too pushed for time at the moment but hopefully soon things will calm down and I can get back out with my camera ….. Wow!! !They look so amazing,Just looking at pictures is so awe-inspiring I wonder how it would have been to witness the beauty . Lovely shots. I’m heading for somewhere dark sometime soon! Thank you Mary. I hope you get some nice shots. Photographing the stars can be very rewarding and you’ll be surprised at what your camera sees that you can’t. Thank you. It’s amazing the colours a digital camera sensor will pick up over a long exposure!